Britain was destined to lose the war. Despite its current difficulties Britain was not about to grant India its independence and therefore that its people would have to fight for their freedom themselves. India could gain its independence if it joined the new conflict on the side of Britain's enemies. "There are three kinds of friend: your friend; the friend of your friend and the enemy of your enemy, who is also your friend." 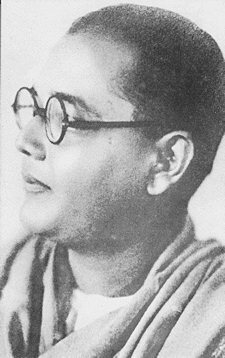 In short, Bose now saw the war between Britain and Germany as an opportunity to advance the cause of India's independence from the British Empire.